The main objective of boiler feed water treatment is to avoid troubles inside the bolier and to generate high purity steam for subsequent use in steam turbines. in case impure steam is used, fouling of steam turbine blade occur, thereby the capacity of the turbine is reduced. From the water treatment plant water used in steam-boilers should be freed from hardness producing salts before it is put to use. for getting soft water, water treatment softening process like below used as general in all bolier water treatment. The working pressure actually determines the nature and extent of bolier-feed water treatment. with the increase of bolier pressure, the requisites of feed-water becomes comparatively more rigid. The maximum permissible hardness of boiler feed water operating between 0-10, 10-15, 15-30 and over 30kg /cm2 pressure is 80 ; 40 ; 10 and 2 ppm respectively. consequently, according to the required conditions the softening treatment method has to be carefully chosen. 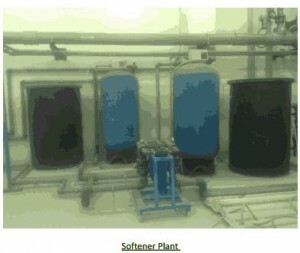 sometimes, a combination of water treatment methods are chosen for boiler water treatment.